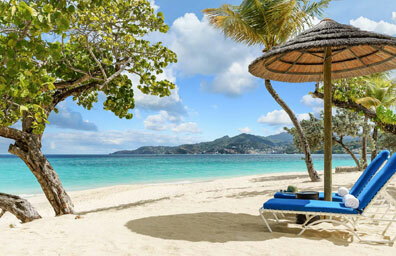 Grenada is a tropical vacation paradise in the heart of the Caribbean. Visitors come here from all over the world to not only lounge on the white sandy beaches, but to experience Caribbean culture and natural wonders. Consider hiking the trails to breathtaking landscapes in the green mountains of the national park. Or walk through the colourful markets. Sample the local cuisine at the world class restaurants and listen to live music at the spirited nightspots.